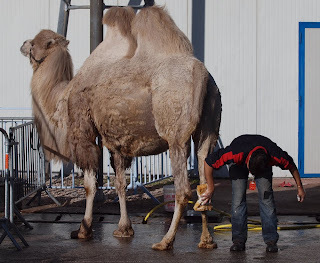 Even camels get a shampoo and blow- dry before they perform at the celebrated International Festival of Circus in Monte Carlo. The camel appears to be enjoying it, or just very patience. It is nice to see them being taking care of.